For menus of the season, proper food and all the joy of Christmas, you can trust us to add that little extra sparkle to your festive celebrations. 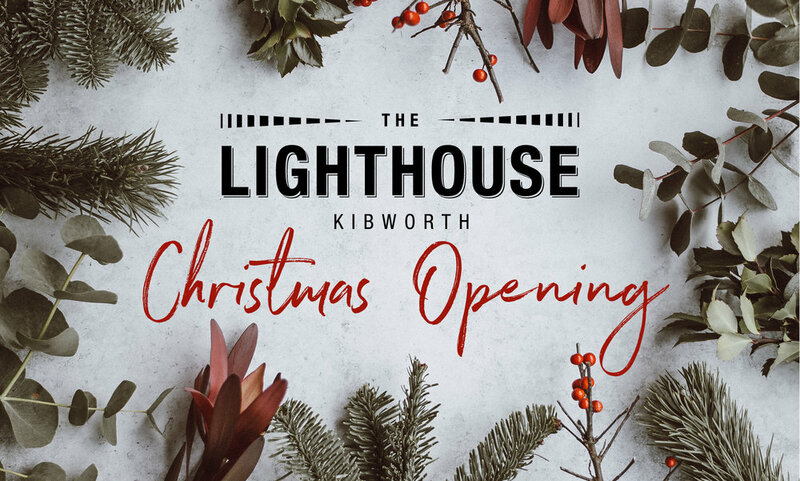 Boboli and The Lighthouse will be in full festive swing, so gather your family, friends and colleagues and celebrate in style in the Kibworths. We are open as usual with the extra day of Monday 17th December. We’ll be closed on Sunday 23rd, Christmas Eve, Christmas Day, Boxing Day and New Year’s Day. On New Year’s Eve we’ll be serving our fabulous party tasting menu reflecting great traditions, but with a few special Lighthouse twists, We’ll also be serving our inspired New Year’s Eve Cocktail on arrival and a glass of fizz at midnight. By arrangement we are happy to consider opening, especially at lunchtimes for larger parties. As usual, we’ll be celebrating New Year’s Eve with a very special menu, live music, fun and laughter for you all. Contact us for the full menu and bookings details.